I sit and try to do my assignment. The assignment that I asked for an extension for because the floods destroyed my assignment mojo. I know, karma will bite me. It's too hot, I can't concentrate and Australia Day is not made for assignments dammit! At least, now it is afternoon, I can relax with a drink. I'm still trying to get through all the engagement champagne (Mr Fork is no help), and in the absence of strawberries, I improvised with fresh Tasmanian cherries. 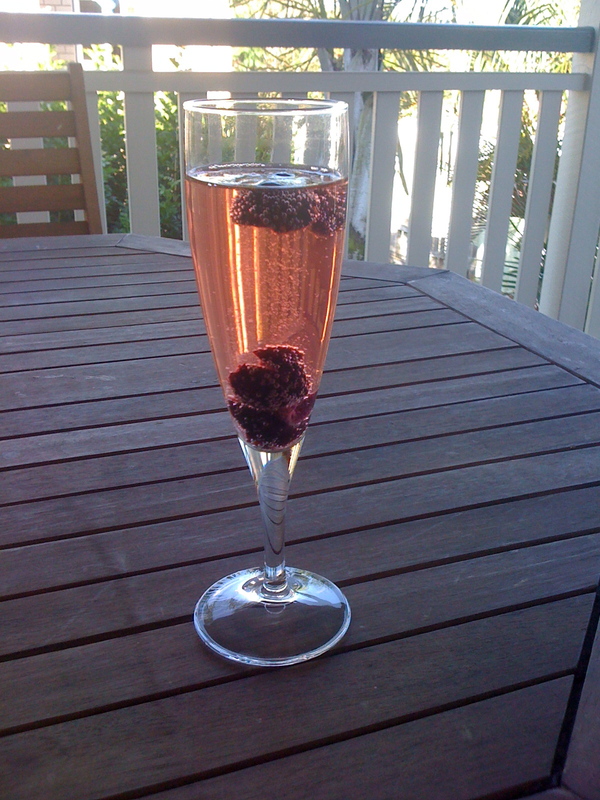 I quite like the way they turned my drink pink and the bubbles make them float and dance around in my glass. Delicious!